In the desolation of 1920s homesteading Alaska, Jack and Mabel arrive. Shattered from a long ago, but never forgotten miscarriage, each living silently in a childless, joyless world, they have come for an escape but instead find their depression waiting for them. The ruthless cold, the eddying snow, the frozen rivers and cracked lake beds are all part of the harsh, never-ending wilderness cycle, and it seems like they are really here to die, instead of to live. Caring neighbors seek to restore them, to show them the beauty they cannot see in the ruthlessness of the long-lasting, killing winter. When one visit actually leaves the couple happy, they dance in the snow and craft a snow-child, an active expression of wish fulfillment in a morbid place suddenly turned winter wonderland. 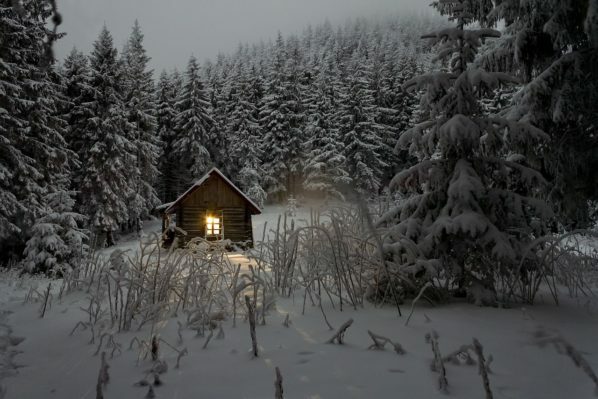 When the snow child is trampled, small footfalls leading away, and a young girl begins flitting through the woods, however, they begin to suspect that here, in this forgotten place, their longing has power and magic. Just who is this child, named Faina, who can survive where no man can? Who can tread lightly on the heavy tops of snow and who brings bloody game, plays with a red fox, and arrives with woven birch baskets heavy with snow damp berries? Who is this girl who disappears with the melting snow and returns again next winter? If a wish like this can be made true, what are the costs? Is this a kind magic or a killing one? 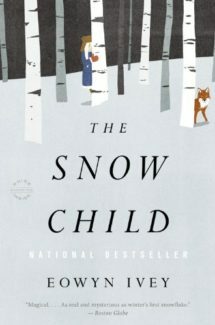 The Snow Child is a modern rendering of magical realism that promises to claim its rights on the classics list. A story oddly placid and lulling, Eowyn Ivey’s tale combines the dreadful and the beautiful of a fairy tale into the adult realm of angst, missed chances, and the reality of forced childlessness and the body’s tendency to fail us most when our dreams, our longings, our essence most needs its cooperation. The story opens with the grey pall of an icy day and we can all so easily see Mable killing herself in the shallow current of a river while her intrepid husband carries his misery in a more stoic way, forever working for a life he just doesn’t believe in, much less want anymore. These two are broken in a very recognizable way, one that is uncomfortable for the reader. We have sometimes seen and sometimes been these types of people and the hopeless evocation is a powerful, tear jerking one. It’s this effortless establishment of the bottom that allows the story to truly soar and lets the kind side of the magic work its wonders. Haunted by old childhood fairy tales, Mable thinks she understands what is truly happening, the inexplicable miracle of this wild girl and what she could mean, how she can in essence be the child that was always wanted but never birthed. Yet, Jack has his own form of deadly knowledge, a chance encounter in the woods plus town gossip show him a different side of their fearsome, waif child. 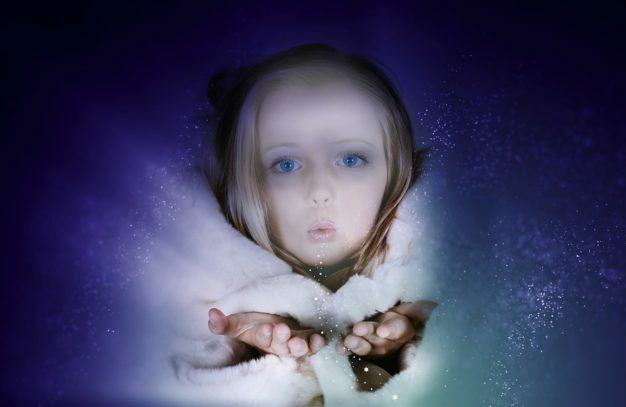 Yet, neither dares share their imperfect knowledge and so as the years swirl by, the mystery grows alongside the child. Faina is wild, both dour in her entry to the warm world of Jack and Mable’s cabin and unrelentingly, selfishly free in her love of a violent shifting landscape. We both love and fear her. She is more than she seems and when you add what Jack and Mable have made her into – what she must be for them – the heartache begins early. You don’t know the hows and whys of the unwinding, but you sense the tragic ending of a captivated wild thing, the certainty that capturing a dream will kill it. And so, the years go on and the fears build, but so too does the love and the repair between Jack and Mable as they embrace their neighbors as friends and as they live in the knowledge and love of their forbidden snow child. Here lies redemption and a reason for starting over and also an explanation of the necessity of ends, bittersweet as they may be. Here lies the adult story of “be careful what you wish for” and the iridescent underbelly of that same warning, the light at the other side of the tunnel, the happiness in the everyday tragedy. And so, with all its looping, story book descriptions and its almost supernatural ability to evoke the howling cold and scathing ice-laden winds in a way that makes you love them too, Snow Child evokes the beauty in the pain, the sublime in the barren, the surprise in the ordinary, and the surpassing nature of love, the ability to keep going on, and the redemption that awaits, even in the most ugly of circumstances. It’s a book that will make you hope and cry, that will surprise and entertain, that will weave mystery and answer into something beyond itself. In a word, it’s a book that makes its own magic, one that readers will never forget.